I almost didn't make it until Saturday to share this with you! 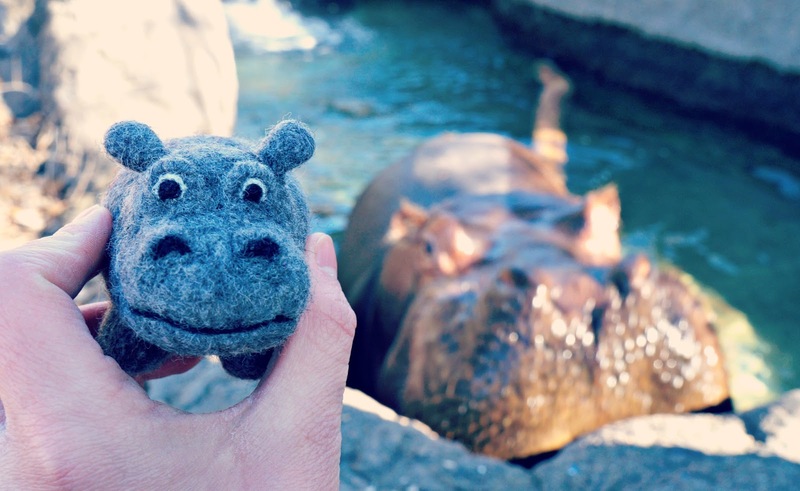 My week 3 creation is a Hippo!! So, really I don't know why it's taken me this long to make a hippo. You might already know that I work at a zoo. 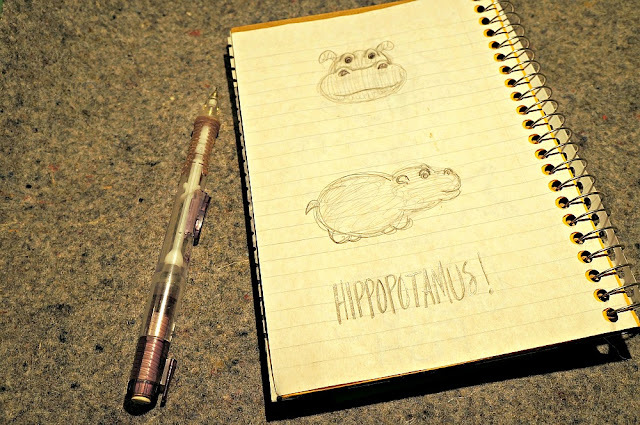 But you might not know that my favorite animal there is our hippopotamus, Henry! 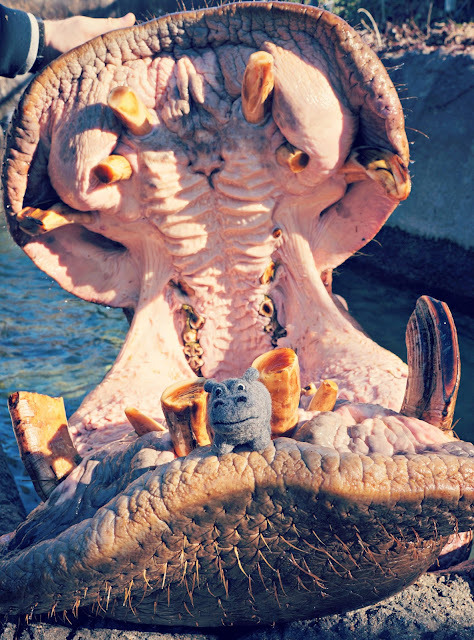 He's actually a lot of people's favorite animal at our zoo. Up-close encounters with him are so special, and I feel very privileged when I'm able to experience them. I even got to do a photo shoot at the zoo in my wedding dress. Feeding him is hilarious...I've tossed four or five grapefruits in his mouth at once....huge scoops of grain....and even whole watermelons and pumpkins. So cool! I am very grateful for the zookeeper help that I received to make this photo shoot possible! 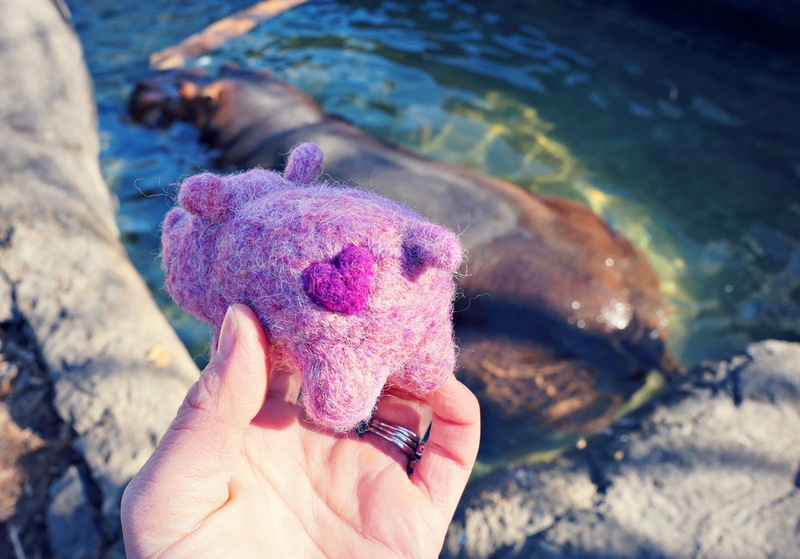 I also made a pink Valentine's Day Hippo, complete with a heart on its bum! You can check it out here. 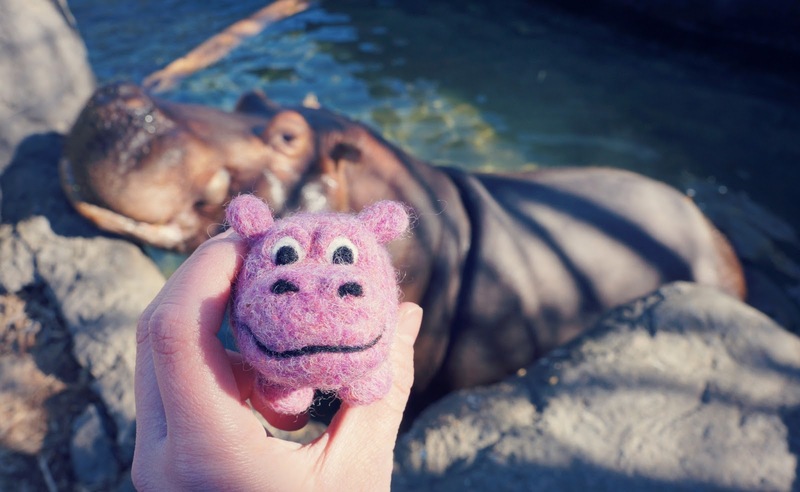 Both hippos are 25% off until next Saturday! They are in my shop here and here. Your suggestions for new creations are great--keep them coming!! Remember, for the next few weeks, if I make what you suggest, I'll send you one for free.